Resource allocation can also be considered a plan, which you develop using the resources that are available at your disposal during a project. Resource allocation is a short-term goals road map. Before resources are managed, it is best to already know the scope of the project. Does the project have short-term or long-term goals? Does it have a wide scope or is it streamlined? These questions must be answered in order to determinewhat resources the project requires, and in what quantity. Before a single resource is allocated, a project manager needs to have full and clear picture of the project scope. Once a resource manager has the full and clear picture of the project, she should consider its objective(s), the necessary tasks related to the project and the project’s time span.One needs to consider all these within the context of the approved budget. Of course, resources are always in limited supply.A project manager must determine the resources currently available, and what additional resources he may need to employ. The manager also should consider what equipment the project requires and whether or not it is already on-hand.In some cases, a resource manager may even need to find a location where project work can take place. Before project work begins, project managers must create a list of all necessary resources, ensure they are available, and certify their usage will fall within budgetary guidelines. Project managers have a reputation to keep and plans to strictly follow. They are in charge of teams, resources and their allocation, and they must simultaneously keep everything on track, while preparing for and dealing with unexpected problems that tend to come up during a project. Even the most meticulous, thoughtful PM inevitably has to reallocate resources as projects progress. Thus, is the nature of project management. Research done throughout the project life cycle shows areas with deficient resources and identifies the input of every individual participating in the project. When managing a project, set up a flexible resource plan. It is the job of the project manager to foresee and prepare for issues that may pop up that may hinder the progress of the project as a whole.When problems do arise, project managers must deal with them quickly or risk putting the whole project in jeopardy. As a project manager, it is best not to focus too much on the process. PMs need to face the reality of the projects they are managing. This means going deep into the activities of every area of the project, while also checking forecasts against actual. A project manager must always be aware of the state of resources. She has to know the intricacies of her team’s schedule. Is one of them on sick leave? Going on vacation? Also, managers need to stay aware of things like the lengths of lease agreements for equipment, warranties, maintenance requirements, etc. Letting these details slip can cost time and money, or worse, the whole project. Successful project managers keep their hands on every area of the project and know their project in and out. Timing is important to project management as it plays a major role in determining the success of a project. As a project manager, it is vital to keep a close eye on how efficiently teams are working and how effective the tools in use are. Every individual working on a project must continually be made to understand expectations relating to time. There are various methods to improve your time tracking in a project. Keeping track means one must keep track of his team’s workload as a whole. Doing this will require the best and most effective tools. Effective project managers need a way to get real-time data that can be collected in a manner where you can see and schedule ahead whenever you they need to. There are tools that can easily help you estimate whether your resources are properly allocated or not.Tools like PPM software, which simplifies the process of resource management by providing project managers with a high level of detail in their decision-making processes, and have advanced scheduling and forecasting features. There are various project and portfolio management software solutions that can prove a great asset in managing projects and ensuring their success. With an online project management tool, project data gets updated in real time. 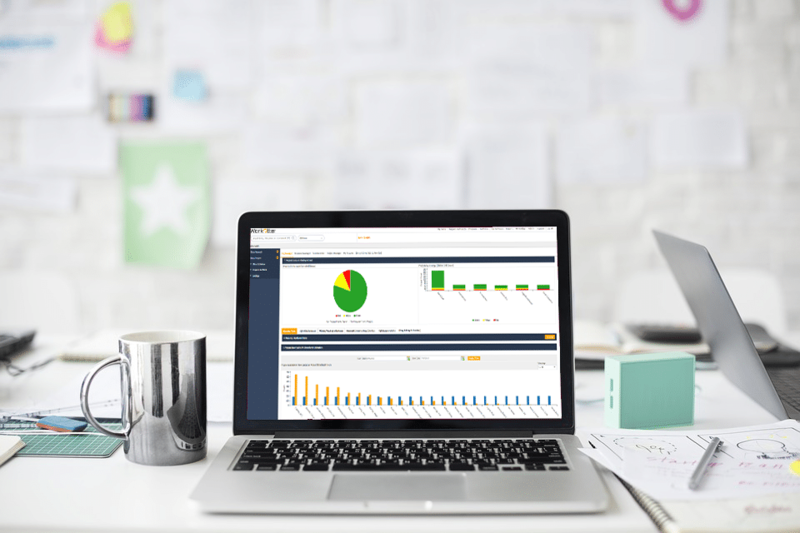 Effective project management software helps you see where your resources are allocated each and every day, and whether or not tasks and entire projects are on or off track. PPM software with good resource management tools allow users to see how resources are over or under-utilized and make instant adjustments to ensure resources are allocated as efficiently as possible. 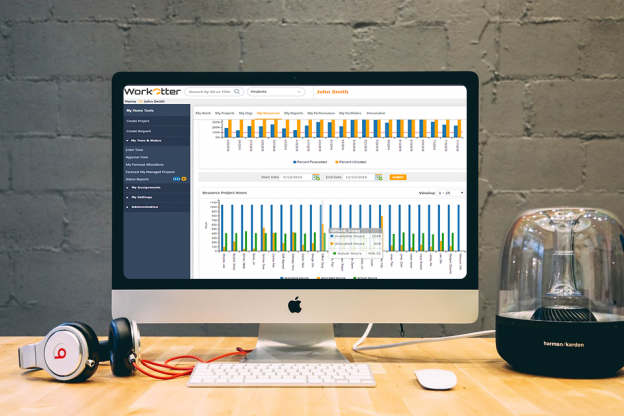 Notifications are another powerful tool provided by project management software like WorkOtter. Project Managers can set up notifications that will alert them about the status of projects, communications across different projects and more. Most managers tend to unconsciously over-allocate, and this may be due to poor planning or the inability of the project manager to say no to certain requests. Over-allocation can lead to the burnout, and individuals that bear the brunt of over-allocation tend to move on sooner rather than later. It can ruin the reputation of the project manager as team burnout may lead to failed projects. Don’t expect too much, and always go back to re-examine your plan and resources. Ensure they are allocated evenly and effectively throughout the life of a project. Being realistic may be the best quality a project manager could have. Everyone hopes for the best, but oftentimes with projects, things do not go to plan. It is always good practice to be prepared for issues that might arise in your project. Remember to compare estimates to actual and plan ahead for unforeseen delays and issues. Project management software can help PMs take a more realistic approach by giving them more clarity when reviewing ongoing projects. Being a project manager is a structured role. Everything is laid out and you must make it your routine. You plan, you execute and you monitor. It is only normal when things falloff track, but it is still your job to ensure they don’t. So, have a regular routine for check-ins and the like, maybe on a specific day of the week and time. Also, have a routine for evaluating the efficiency of resources. Once you do these things,update project management tools and verify that everything is going smoothly or makes changes when things veer off course. Trying to have a regular dialogue with your team members as well as any internal or external stakeholders. You can’t control what you don’t understand. Have a detailed understanding of the proficiencies of every resource that you have tasked. Organise their skills in the best possible manner to produce an effective and efficient team effort. # Resource allocation in project management, resource allocation project management software, Resource allocation project planning management software on March 16, 2019 by Nick Matteucci.